Founded in 2015, Coopersridge Products is a growing business dedicated to providing quality products to the horse industry. Our launch began with the creation of Coopersridge Saddle pads, designed by Derrick Moran, the CEO of Coopersridge Products and owner of Coopersridge Stables. Our saddle pads are made here in Ontario, as well as our Botanical Panacea line of products. We are delighted that our products are now available in many tack shops across Canada! Coopersridge Products is also developing products for home healthcare, using the same innovative technology and materials that we use to create our Coopersridge Saddle Pads. To learn more about our healthcare products, visit our NIMBUS page. It has always been Derrick’s ambition to help horses and riders achieve their best by working together as a team. 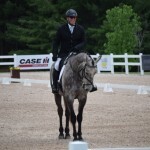 As the owner, trainer, and coach at Coopersridge Stables, in addition to being a competitive rider himself, Derrick has had the opportunity to work with a wide variety or horses and riders to achieve this goal. As a ceritified Master Saddler, Derrick has found that saddle fit problems are a frequent factor in the quality of performance and achieving harmony between horse and rider. To address the impact of poor saddle and saddle pad fit, Derrick decided to design a saddle pad that would fit comfortably and correctly. The Coopersridge saddle pad, including shim inserts to correct saddle fit issues, is the result of this mission. The Poly-Mem-Gel, used in our shim system, is a unique material blend that disperses pressure points, eliminating discomfort for the horse and rider. The Coopersridge Products line-up continues to expand with new, high quality equestrian products which are all tested and approved by Derrick himself. 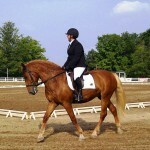 In addition to developing new equestrian products, Derrick continues to enjoy his passions for riding and coaching and is looking forward to working another show season as a certified judge and steward. 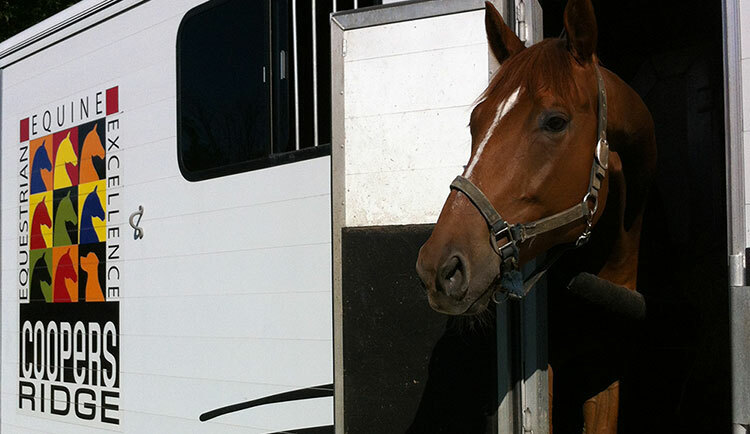 Aimee is a graduate from the University of Guelph’s Equine Program and stable manager at Coopersridge. With over 15 years experience in the horse industry, she is proud to be part of such a wonderful facility and to be working with Derrick. Aimee also manages the office for Coopersridge Products. 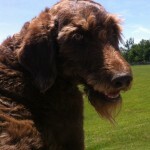 Cooper is a hard working labradoodle who is the namesake of the property. From Greeter to Supervisor, Cooper has many duties around the farm and the office, but is always game to take a break and go for a nice hack!